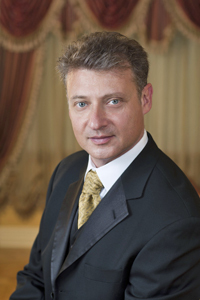 Born in Russia, Dr. Alexander Bokser immigrated to the United States at the age of ten. Settling in Kew Gardens Queens, Dr. Bokser graduated from Queens College with a B.A. in Economics. He then received his degree from New York University College of Dentistry in 1994, where he was licensed by the New York State Board of Regents, and the North East Regional Board of Dental Examiners. Dr. Bokser completed his residency at Flushing Hospital, which was associated with Albert Einstein School of Medicine in 1995. Afterwards, he was asked to join the Hospital as an attending, where he has been teaching ever since, assuming the role of educator and mentor. Dr. Bokser has been in private practice since 1996 in Astoria, Queens. Dr. Irene Bokser, Diplomate of the American Board of Periodontology, joined the practice in 2009. She maintains her own practice in Bayside, Queens. The focus of their practice is on oral rehabilitation, implants, cosmetic dentistry, periodontics, and general dentistry. Dr. Alexander Bokser has received numerous awards in dentistry and community service, and is a member of the American Dental Association, Academy of General Dentistry, and North Queens Dental Study Club. Dr. Bokser resides in Long Island, NY with his wife, Dr. Irene Bokser, and two children. He enjoys photography, outdoors and travel, and most of all, spending time with his family. Dr. Irene Bokser, Diplomate of the American Board of Periodontology, specializes in conservative treatment of gum disease, including cosmetic procedures to enhance smile, and dental implants to replace single or multiple missing teeth. Dr. Bokser performs all aspects of periodontics and implantology. She also diagnoses and treats oral pathology. 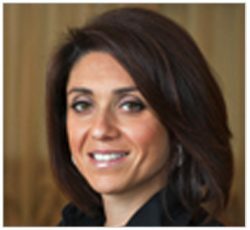 She is an attending physician at New York Hospital of Queens, as well as clinical associate professor at New York University’s Rosenthal Institute for Aesthetic Dentistry. Dr. Bokser belongs to multiple professional organizations including American Dental Association, American Academy of Periodontology, Academy of Osseointegration, American Board of Periodontology, Northeastern Society of Periodontists, and Nassau County Dental Society. She is also co-President of North Queens Study Club.